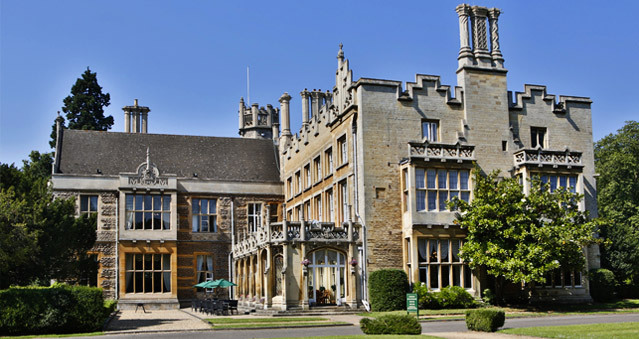 The Best Western Peterborough Orton Hall Hotel & Spa is set in 20 acres of conservation parkland. You will enjoy peace and quiet and take advantage of the hotel’s excellent location to visit the areas many attractions. The hotel has a superb spa with pool area, hydrotherapy pool, sauna, steam room and beauty treatments. The Orton Hall hotel offers free parking and WiFi and is perfect for teambuilding events like The Killing, Around the World, Awakening the Dead, Stocks in the City, Mixology, The Ultimate Team Build, Real Life Clu’Doo, and many others. This superbly appointed 17th century manor house is ideal for hosting special occasions and teambuilding activities. Guests can relax in the AA Rosette-winning Huntly restaurant, while the on-site pub, The Ramblewood Inn (formerly the manor house stables) serves award-winning real ale and good food. Orton Hall’s dedication to cleanliness and quality of both guest rooms and public areas has gained the Best Western International Quality Award – a global recognition of excellence given to only a few selected hotels throughout the world. Location: close to the A1.